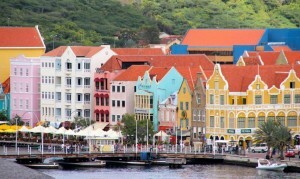 WILLEMSTAD - Joop Kusters, the president of Curaçao Business Association (VBC), finds it regrettable that the information about the new tax system was leaked. The proposal of the adjustment of the tax system should be discussed in an open public debate, especially with key stakeholder in this, the businesses. The VBC has been calling for years now to eliminate these brackets. He therefore welcomes the fact that this government is working on the proposal. The VBC president does take distance from the away in which the news about the tax increase and the brackets in the tax system came to light. “Nobody knows what it is actually about. The 11 percent is also not final.” To give a substantive opinion on the proposal, according to him, is therefore not yet on the agenda.